There are so many fun techniques in this book we hope that you sit back and get inspired to try a few (or all of them!!). 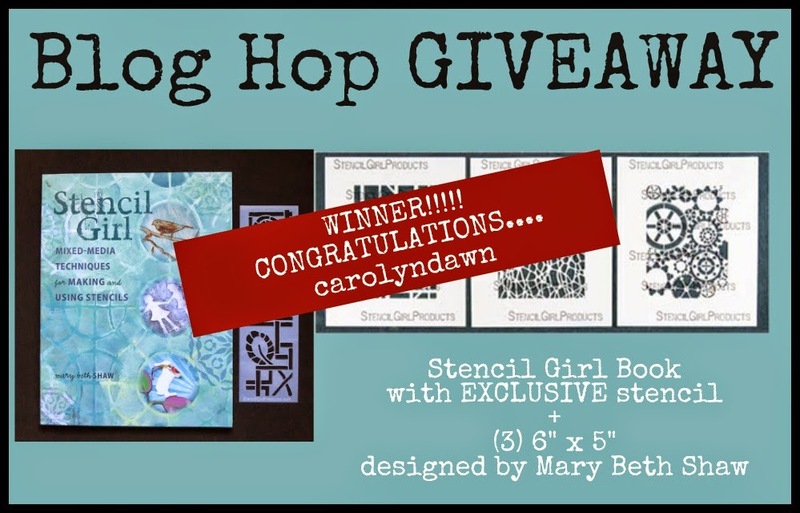 You can get yours HERE and if you order it from our website Mary Beth will autograph it for you and send you the EXCLUSIVE bookmark stencil that only we at StencilGirl have to offer with the book! We will be back each and every day this week to show you new projects from new team members. 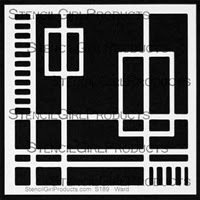 Technique Used from Stencil Girl The Book: EXCLUSIVE--never seen additional book content!!! ALL comments left on the hop are entered in giveaway. I've got to sign up for this one. Would love to win such a nice prize! what a great prize please include me in the drawing. Mary Beth's book looks like it will be loads of fun!! I would love to win a copy. Thanks for the chance!! 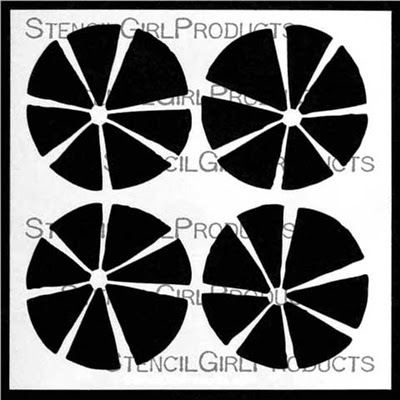 I need something to give me basic ideas for stenciling. This look likes it would do that. Hopefully I'll win a copy. If not, I'll be ordering one. the projects today were wonderful. Got a fun idea for making a stencil and a push to use my doodling for better doobles. Look forward to the art!!!! I have the book and love it! Wonderful projects! Love to see these inspirational posts. You are making me a doodler too. Wonderful giveaway. LOVE what Mary Beth and Mary have done. THank you. 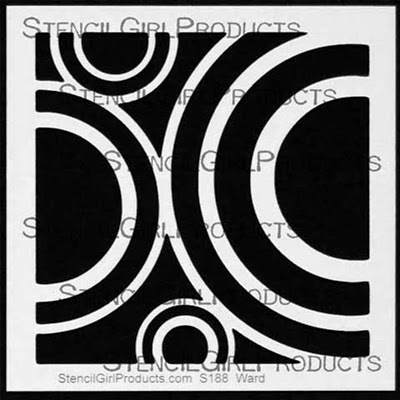 I love Mary Beth's stencils and all the Stencil Girl's ideas. Would love the book. Thanks for the chance to win. Can't wait to see all the new art and learn new techniques. And thanks for a chance to win a copy of this book. 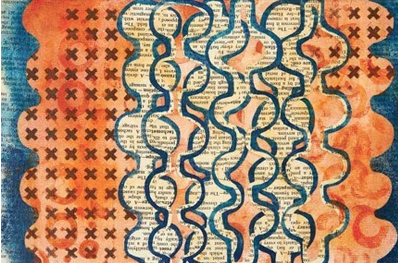 Looking at the projects on this blog, I realise I am very limited in my use of stencils. I would love to win a copy of this book & learn more. Thank you for the opportunity. 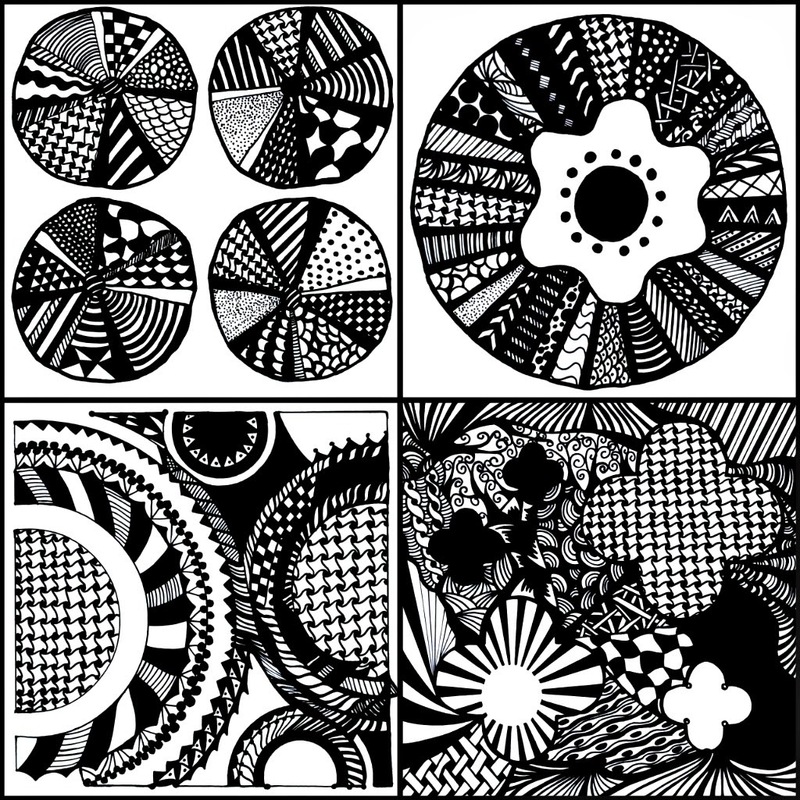 These stencils and all of your stencils are the best, I love your blog, ideas, techniques, and inspirations. 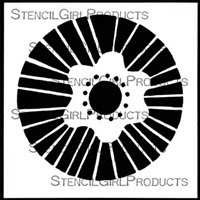 Love seeing all of the different ways to use the stencils!! beautiful day one!! These are both wonderful creations. Looking forward to the rest of the week. Love the use of the stencils to doodle. The book sounds wonderful! The stencils are awesome! The book looks very interesting! I need to learn your techniques! Wow! The doodles are amazing! Always enjoy the blog hops. So much inspiration! Again Mary Beth~ You are awesome! Looking forward to my copy of the new book!! Mary Beth you're a genious!!! thanks for showing this techniques! We have the book in our local library (because I buy our non-fiction!) but I'd love my own copy - this *is* exciting. 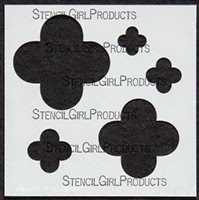 These are some great new stencils. I would love to win the book.